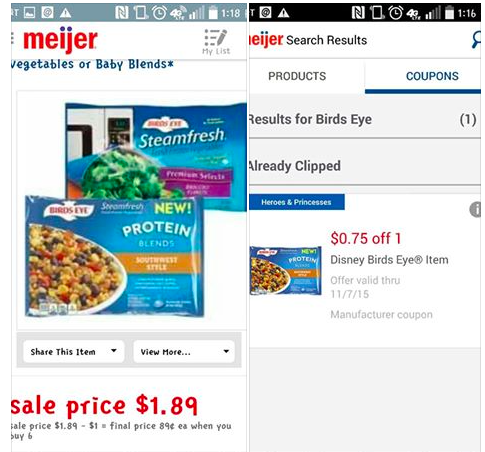 Meijer: 14¢ Disney Birds Eye Frozen item! UPDATE: Reader Heidi used her coupon yesterday and she had another one waiting for her today!!! The coupon reset!!! Let me know if it reset's for you too! New admin, Kristi Schwartz rock's! 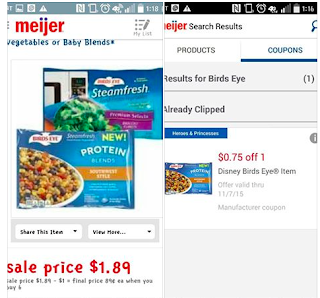 She found this deal (thank's for the picture too!) and I am writing it up so it easy to share! Please Note: This is a one time use coupon per mPerks account. Enter code"EARNGREATREWARDS" for 20 points!